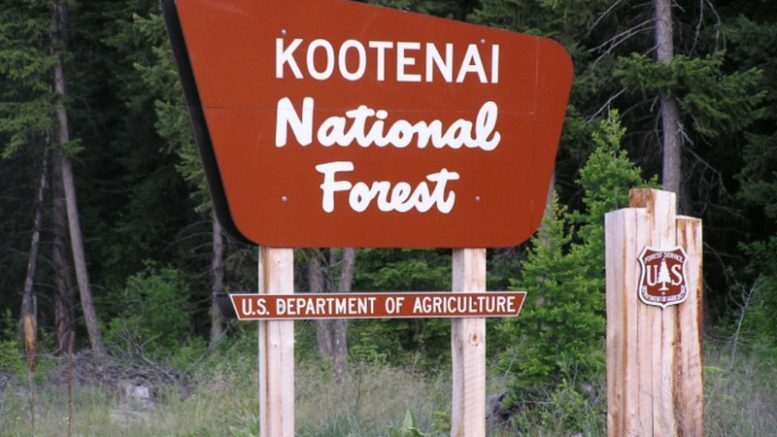 The Kootenai National Forest is interested in receiving your comments on a proposal to increase fees at 18 campgrounds, 13 cabin and lookout rentals, and seven group sites. Additionally, the Forest proposes to implement a new fee at two campgro-unds and recreation rentals including two lookouts, one large ranger station complex, and a yurt. This proposal would enable sites such as Black Butte and Ziegler Mountain Lookouts, and Raven Ranger Station to be available for public use, adding to the Forest’s popular recreation rental program. Whitetail yurt would become a stand-alone overnight rental opportunity. Timberlane Campgr-ound has been a group camping site. This proposal changes the campground to include 10 individual campsites; while the group pavilion will remain available to rent as a group camping site. This change will provide more individual family opportunities in the area. As part of a Region-wide effort, these fee changes are being proposed to support the Forest’s ability to continue providing high levels of service to visitors at popular recreation sites. Reasonable fees, paid by users of these sites and services, will help ensure that the Forest can continue maintaining and improving the sites for future generations. “While the current fee structure has been in place since 2008, use in our campgrounds such as Kilbrennan Lake and Yaak Falls, continues to change and increase. Even the season of use across the forest is longer, with many visitors recreating earlier and later in the year. We have made substantial improvements and upgrades to these sites over the years including; replacing tables and fire rings, adding food storage boxes, additional hosts, water and waste water improvements, gravel, and replaced or fixed toilets. The proposed new fee increases are in part designed to allow us to maintain or improve the camper’s experience through changes such as a longer season where toilets are maintained or garbage service available, or we are able to provide a host on site,” stated Chris Savage, Kootenai National Forest Supervisor. The Kootenai National Forest currently has 18 fee developed campgrounds and 16 non-fee developed campgrounds. There are also nearly 600 dispersed campsites across the forest with no fee, and little to no development. This proposal will help the Forest achieve more consistent pricing for fee sites with similar levels of amenities and capacity and provide high-quality recreation experiences. For instance, campgrounds featuring major services such as water, garbage, paved roads, and on-site hosts are proposed at $16 to $24 per night- which is in-line with the current market. Sites with fewer amenities are being proposed at $10 to $12 per night. The same pricing strategy is being applied to cabin/lookout rentals based on amenities and sleeping capacity. Raven Ranger Station; proposed fee of $100 per night for the Ranger House (sleeps 10-12). Visitors will also have the option to rent the Ranger House and all ancillary facilities; which includes a classroom, bunkhouse, cookhouse and a residence for $250 for under 75 people, and for $500 for 75 to 150 people. Whitetail Yurt within the Whitetail Campground proposed fee of $25/night. Bull River Guard Station – fee increase from $55 to $75 per night. In addition to the proposed fees stated above, an extra vehicle fee of $5 per vehicle, for more than two vehicles that are not trailered, is being proposed. Timberlane Group Shelter Camp site – fee increase from $60 to $75 per night. All of the cabin/lookout rentals and group day-use and camps, as well as several of the campgrounds listed above are, or will be, available for advance reservations through www.recreat ion.gov. All other campgrounds are available on a first-come, first served basis. In 2004, Congress passed the Federal Lands Recreation Enhancement Act which allows the Forest Service to retain 80-95 percent of fees collected at certain recreation sites and use these funds locally to operate and maintain and improve these sites. An analysis of surrounding recreation sites with similar amenities indicates that the proposed fees are comparable and reasonable. Once public involvement is complete, this proposal and public comments will be presented to the Western Montana Bureau of Land Management Recreation Resource Advisory Council (RAC) prior to a final decision and implementation. Submit comments about this fee proposal by October 10, 2018. For more information, questions or to provide comments about any of these fee change proposals, please visit www.fs.usda. gov/goto/r1recfee or email comments to r1recfee@fs.fed.us, or contact Mary Laws at (406) 293-6211. You can also mail comments to: Kootenai National Forest, Attn: Rec Fee Proposal, 31374 US Hwy 2, Libby.